Introduction: What is Virtue, And Why is it Important? First and foremost, we’re saved by grace. There’s nothing that we can do to earn our salvation. Salvation has been imputed to us by God through faith in His Son, Jesus Christ. The thing is however, those who believe in Jesus believe He is Lord—Lord of the universe and Lord of their lives. His wisdom exceeds ours; when it’s both comfortable and uncomfortable, on the good days and bad. Those who love God are willing to give up every selfish ambition and every sinful desire to follow His will. Virtue is all about our behavior. It’s an act of yielding our lives to our principles, which is not always easy, but always rewarding. There’s a will to do good in every one of us, but whether or not we choose to exercise and develop that goodness determines our character. This doesn’t mean that we walk perfectly by any means. That’s where the grace of God is vital to our faith. It’s by the grace of God that we’re saved through faith in Jesus Christ. So while I’m not perfect, I can rest in the knowledge that my Redeemer is! We all struggle in this world. We all have good intentions, but our flesh keeps pulling us back. Have you ever made a decision to do something worthwhile? Maybe you wanted to change a bad habit or incorporate a new one. A few days in, you gave up. Even though you knew that this was a good decision for you, you messed up (again) and you’re down on yourself because you’re weaker than you hoped you would be. It’s called being human. Our flesh is constantly at war with our Spirit and there’s a battle to be won. The important thing is that every time we fall, we have the opportunity to get back up again, leave the sin of the past behind, and focus on the road ahead. We’re growing in grace. We’re learning what areas of our lives God is calling us to, and how to best set our sail. Is the bible study guide in the book on Amazon? Or do we need to get both separate? It’s separate. 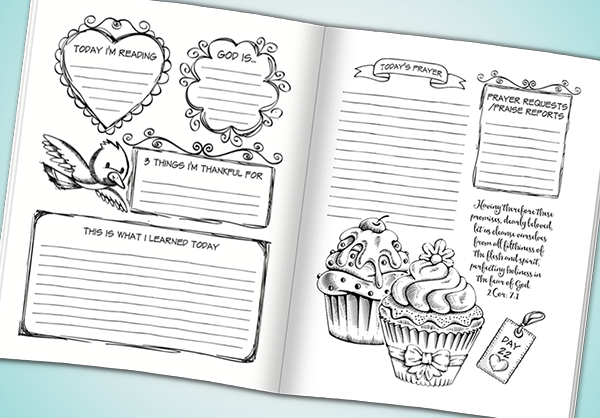 The Bible study guide is only available here as a free download. I am encouraging 3 of my friends to do this Bible study together. We downloaded the study guide and I bought the journals off of Amazon. We are going to meet every Monday for 4 weeks. 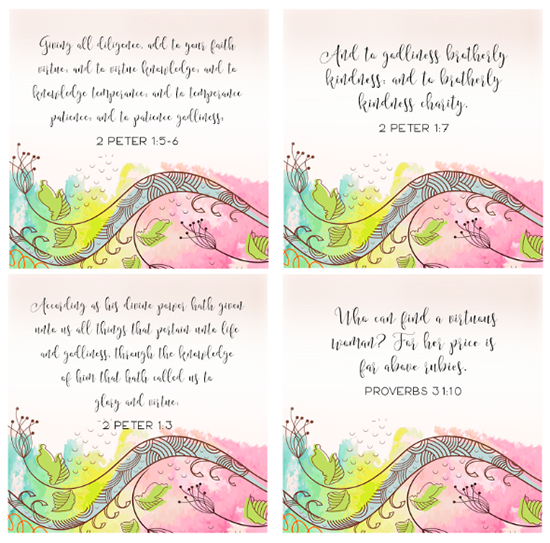 To share and read the Bible together.eat a little fellowship allittle and color a little. I pray these next 4 weeks will be enlightening for you and for us as we follow this study. It looks like it will be great. That is how we are doing it. Just following her study. I pray you will be blessed also. I have everything all organized in a binder and I am going to print off the resources as they are posted! I am so excited to be part of this very first bible study!! Thank you so much for all the effort you put into it. God Bless you!! Thank you for your encouragement Shelley. I’m glad you’re here! I think of how all through my life what would I do if I didn’t have grace. I’m human and I’m a sinner which means I don’t do what I want to do and when I try I fail. I think Peter said something similar to that. I definitely fail our Lord and ask Him for forgiveness and I trust him to forgive me and I know He will and I try to change my ways and not repeat that wrong or failing to do as I should. I would love to do and behave as Jesus all my life but it’s a lifelong teaching by the Lord and I thank Him that he has patience with my failings. 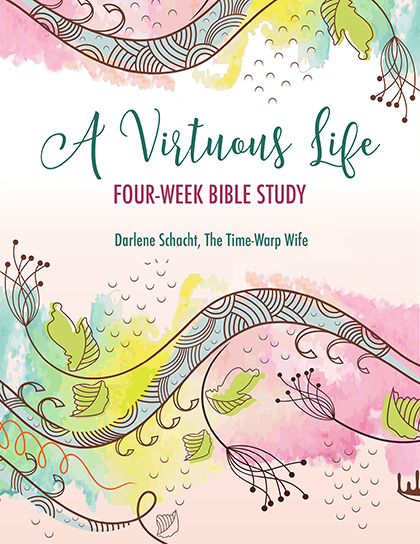 I am so looking forward to this study Darlene and I plan to do my very best to be a virtuous wife. I am so happy for this wonderful beginning! I am from Mexico and my first language is Spanish, so I am doing “A virtuous life” in Spanish and is awesome how God helps me through this very first day! I am so looking for the rest of this journey and see what God wants to teach me and what I will learn from Him, his will and his HEART. Thank you very much. I am very excited for this new bible study. I could not have come at a better time in my marriage. I think this will be a wonderful asset to my marriage and an aid that will my guide on how to become a better person and in turn a better wife. I enjoyed all the resourced you made available to us, Darlene. Although I am a sinner I am relieved to know that I have God’s grace to forgive me and redeem me. To make me new again. Every day is a new beginning for me and I thank you for taking the time to put this together. May God continue to bless you I will be praying for you and for all of the ladies eho joined this study, and I ask that you pray for me too. Thank you! I cherish your kind encouragement and prayers. I am very excited for this new bible study. I could not have come at a better time in my marriage. I think this will be a wonderful asset to my marriage and an aid that will my guide on how to become a better person and in turn a better wife. I enjoyed all the resourced you made available to us, Darlene. Although I am a sinner I am relieved to know that I have God’s grace to forgive me and redeem me. To make me new again. Every day is a new beginning for me and I thank you for taking the time to put this together. May God continue to bless you I will be praying for you and for all of the ladies who joined this study, and I ask that you pray for me too. Oh, didn’t see the last line there the first time. Yes, I’ll be praying for you too! Hello! I registered on Saturday to do this Bible study and received the email to confirm that I registered but I never received any email today to actually begin the study. Wasn’t I suppose to? Just curious! Looking forward to it! I’m sorry. I don’t know what happened. I just checked my list and you aren’t on it, but I have added you. Sorry for your trouble. I don’t have a coper. But I plan on reading what you have on here. I love to learn more and more about our Savior. Thank you for doing this and bringing more of Gods love into our lives. I don’t usually copy mine. I read it off the net and take notes in my journal. I so enjoyed day 1. Thank you so very much for putting this together! Enjoyed the lesson. There is a great need for women to foster and harbor the virtues that God placed in our hearts and souls! Looking forward to day 2. Good solid instruction! God bless you in your efforts for Our Blessed Savior. I’m excited in joining this study group on virtue. See how I was able to learn and apply this lesson to my everyday life. I know that this will allow me to grow in my walk with Jesus. 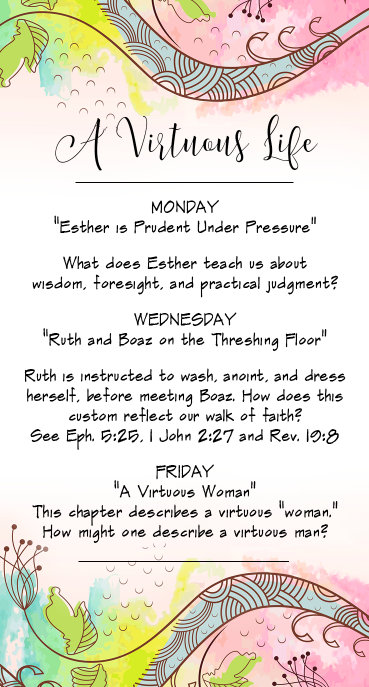 I am enjoying digging deeper into the book of Esther. This is one book that I haven’t really paid that much attention to, sorry to say! Already I am focusing on looking to God first before jumping into something with both feet! Thank you Darlene for helping us all on our walk with the Lord to grow as Godly women. This has been an excellent resource for digging deeper into Esther 4!! Enjoying this study so much already!!! This new Bible Study is so wonderfully arranged. I will do what I can to follow along. I’m thankful for this!! Such an amazing study. How beautiful to see how God uses us when we do things HIS way…not trying to take control, but to rest in Him, and follow His prompting. 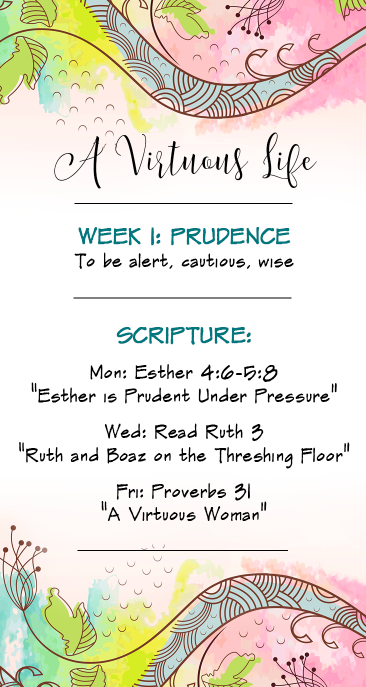 So amazing to think what would have happened had Esther not seized her calling for ‘such a time as this’….or tried to side step things and take a shortcut from how God was leading her. Had she only had one dinner instead of waited for the second one, it wouldn’t have given God time to get the king’s attention and lead him to read thru the record book in the middle of the night and discover how Mordecai had helped him. It is God who promotes, in His timing! So thankful to have the example of Esther to follow!! Thank you for this study. I had a big decision to make at work and an important meeting to discuss this with my boss today. I thought about how prepared Esther was before her audience with the king, so before I went into the meeting I prayed about it. That is very new for me. It gave me peace and confidence to proceed. Thanks for the feedback Vicki! 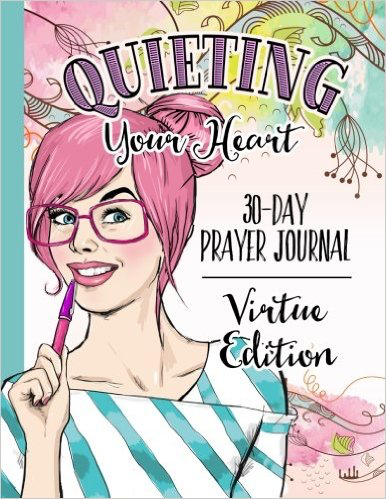 Hello I just received your quieting your heart journal book as a gift! 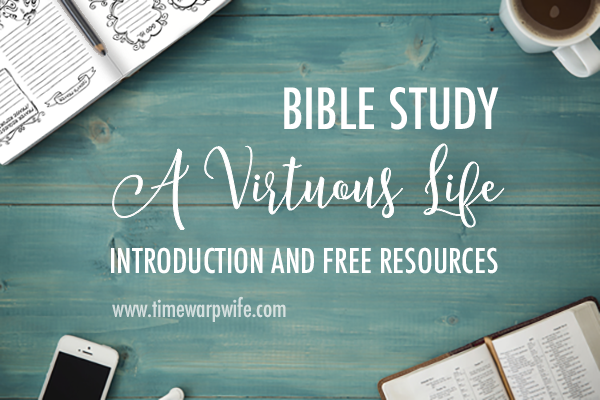 Is it too late to register for the virtuous life bible study? Or can I just start it now? I would need to download the material here in above links correct? And use my journal? You can jump in and join us where we are and catch up on the other weeks later. Hi, am I able to do this study with a bunch of ladies online? Thank you so much for the free resources.